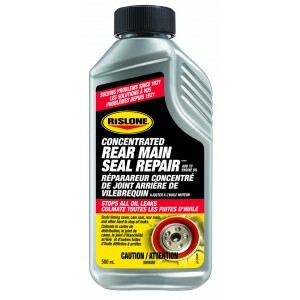 Rislone Cracked Cylinder Head Repair 1 L.
Rislone Cracked Cylinder Head Repair is the strongest antifreeze compatible repair on the market. 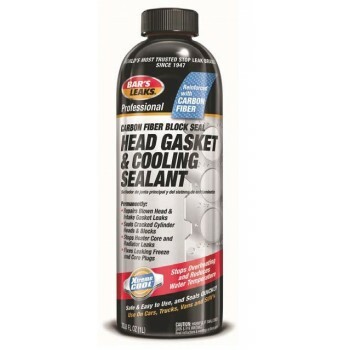 Sealant penetrates leaking, blown or damaged head gasket area drying to form a seal actually stronger than the original head gasket itself. 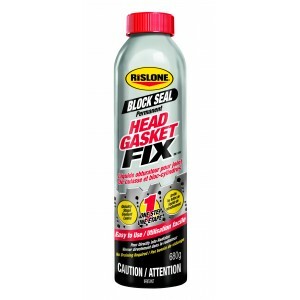 The special formulation contains a combination of antifreeze compatible sodium silicate sealing liquid and various size gasket sealing particles reinforced with carbon fiber which penetrate gaps & cracks and harden to permanently stop leaks. It also contains Xtreme Cool™ which stops overheating and reduces water temperature. 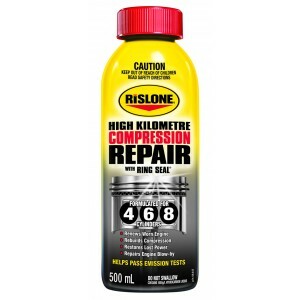 Use with ALL types of antifreeze including conventional green or blue (Silicate-Based) and extended life red/orange or yellow (OAT/HOAT) coolant. No draining of the cooling system is required. For racing applications works great in straight water. One (1 litre) bottle treats cooling systems from 10 quarts (2.5 gallons) to 20 quarts (5.0 gallons). Use ½ bottle for smaller cooling systems from 6 quarts (1.5 gallons) to 9.5 quarts (2.4 gallons). For larger systems use 1 bottle for every 5 gallons.